A Metallica test pressing tops the list this week, and again a Beatles "Please Please Me" gets the #2 spot. Another Warhol cover makes the list, and the private press "Uncle Funkenstein" shows up again for the second time in a month. An Italian jazz LP from 1960 rounds out this week's list. 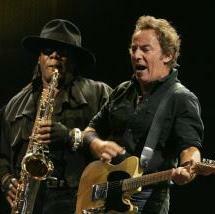 NEW YORK — Clarence Clemons, the larger-than-life saxophone player for the E Street Band who was one of the key influences in Bruce Springsteen's life and music through four decades, has died. He was 69. Sugarland's Kristian Bush is going back in time musically. He announced Wednesday he was starting the Day off Record Club in an attempt to educate his fans about his favorite music. "It consists of me scouring through my collection of vinyl and discovering (or rediscovering) music in its complete album form," Bush said in a press release. "Scratches, record sleeve, liner notes, album cover front and back, side one, side two... all of it. I want to get lost again in music." "This idea started on Saturdays when I would show my kids what a vinyl album was and let them pick one to put on the record player. We would listen, and they would dance or draw or color while I drank coffee. They started asking questions about the music and looking at the record covers. They got interested in what they could hold in their hand." Picture Elvis' on-stage writhings from 1950s photographs, and "Hound Dog" starts playing in your internal ear. The sonic energy of Little Richard is palpable in a concert photo with his thick locks of hair and beads of sweat. From the 1950s to the present, photographic imagery of rock 'n' roll has been able to create floods of sound and ambiance in the mind. No speakers necessary. "The flip side of that is, when you're listening to music, you can see the image in your head," said Ron Platt, curator of modern and contemporary art at the Birmingham Museum of Art. "It really talks to the synergy between music and photography." i love this type of cover art! 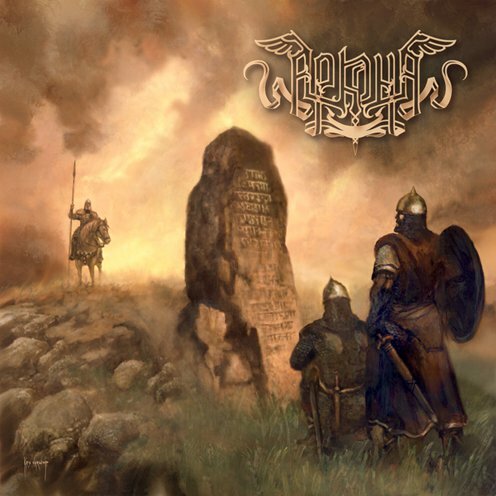 Russian pagan folk metal band Arkona has revealed the cover art of their upcoming new album Slovo. Once again, the cover art and the booklet are signed by the hand of Kris Wervimp. Slovo will be released in late August through Napalm Records. According to the band's opinion this album is the most extraordinary and the most diverse in all of Arkona's history. For the first time in their history, the band worked with a professional choir and orchestra. Fifty years later, Mendys still can’t get enough. Mendys has been on the air at WKNH, the Keene State College radio station, for nearly 20 years as host of “Planetary Prismatic Sonics” on Saturday mornings. The station is open to everyone, and in the summer is mostly run by community volunteers, longtime hosts like Mendys who are in it for the music. Student hosts and station managers cycle in and out, but like Peter Pan in Neverland, Mendys, 63, never grows up. That makes the station offices his Lost Boys’ tree house, with its black walls splattered with neon paint and curling posters. MEGADETH has once again tapped artist John Lorenzi to create the artwork for the band's forthcoming album, tentatively due this fall via Roadrunner Records. The CD is being recorded at MEGADETH mainman Dave Mustaine's Vic's Garage studio in San Marcos, California with producer Johnny K (full name: John Karkazis), who has previously worked with DISTURBED, SEVENDUST, MACHINE HEAD and STAIND, among others. 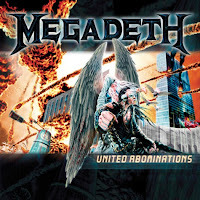 Lorenzi was responsible for the artwork on the last two MEGADETH studio albums, 2007's "United Abominations" and 2009's "Endgame", as well as the band's 2007 box set, "Warchest". In 1961, Ben E. King enjoys his biggest hit as "Stand By Me" reaches #4 on the Billboard singles chart. The same song would re-appear on the Hot 100 in 1986, reaching #9, after it was featured as the title track in a film starring River Phoenix. In 1965, the Four Tops had their first US number one record with "I Can't Help Myself". Lead singer Levi Stubbs had not been satisfied with the recording session and was promised that he could do it again the following day, but no other session ever took place. The track that became a hit was just the second take of the song. In 1971, Carole King's double sided hit single "It's Too Late" / "I Feel The Earth Move" went to the top of the Billboard Hot 100. 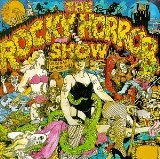 In 1973, 'The Rocky Horror Picture Show' opens at a London theater with Tim Curry and, in his stage debut, Meat Loaf. In 1984, tickets for a ten-night stand by Bruce Springsteen and the E-Street Band at the Meadowlands in New Jersey go on sale with 202,000 seats sold in 24 hours. In 1997, Bobby Helms, best known for his perennial Christmas hit, "Jingle Bell Rock", died of emphysema at his home in Martinsville, Indiana. He was 63. In 1988, over 3,000 East Germans gathered at the Berlin Wall to hear Michael Jackson who was performing on the West Berlin side. In 2006, Duane Roland, a founding member of the Southern Rock band Molly Hatchet died of natural causes at the age of 53.
birthdays today include Ann Wilson (Heart) (61), Simon Wright (AC/DC, Dio) (48) and Elaine "Spanky" McFarlane (Spanky & Our Gang) (69), just to name a few.